Instead of doing a lot of writing in your assembly instruction consider making sketches instead. Sketches are universal in a way text never can. 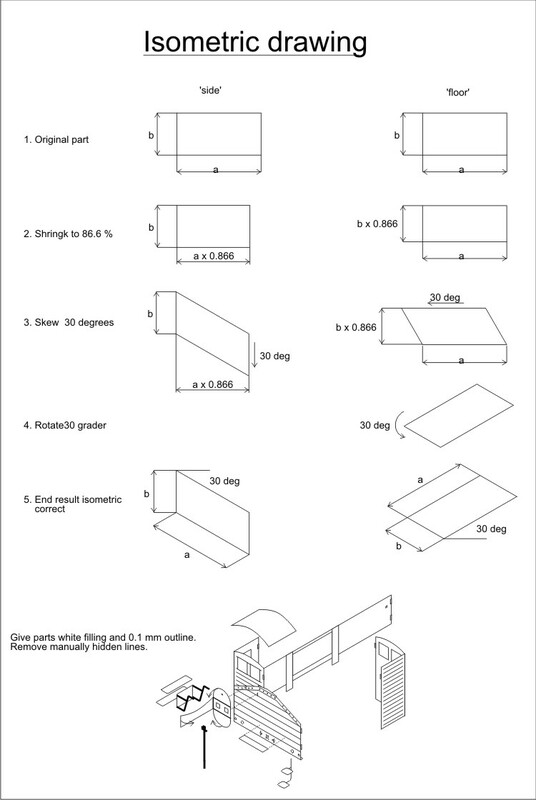 The best examples I can find are instructions for IKEA flat pack furniture. Their instructions always contain 3D sketches and as little text as possible (except for legal stuff like "You should not let small children climb book shelf before anchoring it safely to the wall"). Making 3D sketches is not that difficult if you know about isometric drawing. Isometric drawing is a kind of 3D drawing but without the need for a real 3D program. And the measurements on isometric drawing are actually correct. For etching purposes it is quite easy to use your previously created etch parts and just convert them into isometric shaped objects. The figure below shows the method. You can really speed up creation of isometric drawings by using macros. More on how to integrate macros can be found here.